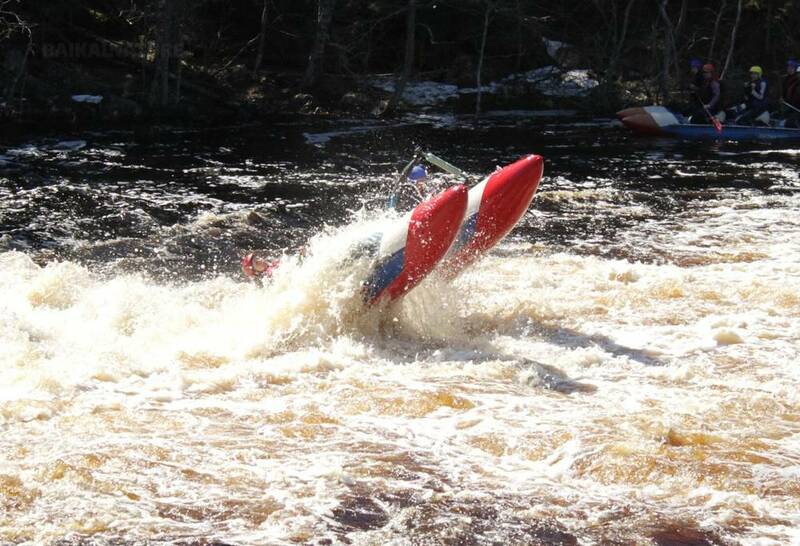 The river Ouksa (full name: Ouksounioki) is one of the most "sporting" Karelian rivers. Located in southern Karelia it is powered by lakes and swamps and its level depends on climatic conditions. The passage is practicable in spring - early summer during the period of high water when Ouksa is amazing! 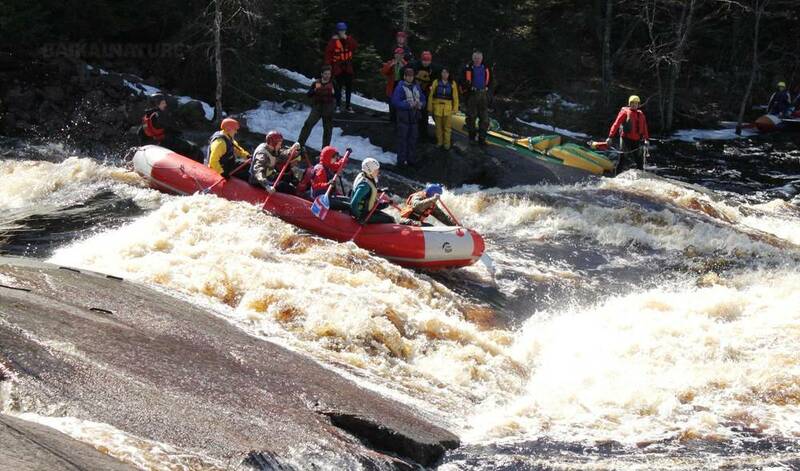 Over a length of 40 km it cuts rocks by several rapids renowned among rafting fans. The nature is wild and landscapes are beautiful. The whirling water and powerful rapids will offer you strong emotions and the energy that the Russian nature can offer! the nights will be spent in tents (2 in tents designed for 3). Meals will be prepared on the fire. *The indicated time is only for the train N18 from Moscow. If you are going to take the train N 658, please, notice that the train from Saint-Petersurg arrives at 6:40 and you will have 3 hours fo free time before the tour starts. Equipment preparation, explanations and setting with water of boats. Descent of Uksa through the rapids Mostovoy (of bridge, category I), Lestnitsa (Stairs, category II), Kolokoski, Bludtse (plate). Hot dinner prepared on the fire. Passage of the rapid of Lossoseviy (of salmon, category I-II), Rozoviy slon (Pink elephant, category III)* and Melnitsa (Mill, category III-IV ), 14 km. Free time to do again some interesting rapids if wanted. *The rapid of Pink Elephant is the most popular spot of the river. The latter is divided in two by a rocky islet. The arms of water are falling from a height of two meters. 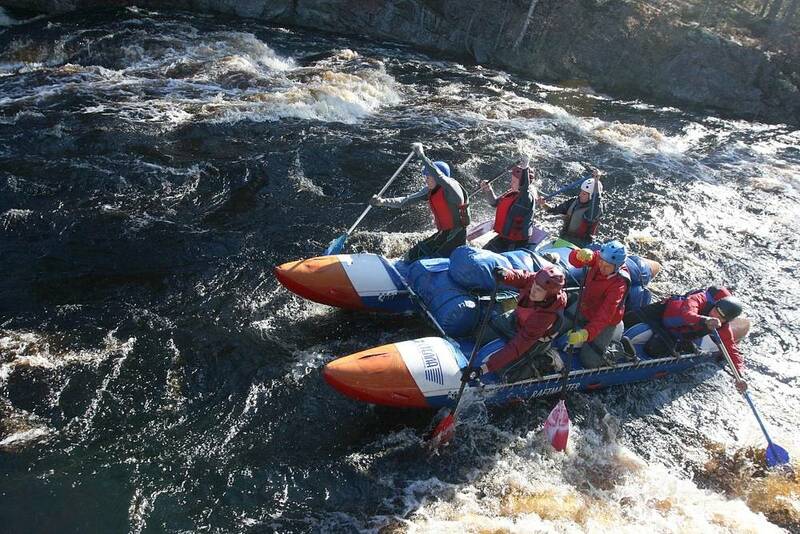 The right one is easier and is suitable for the training of first acquired, while the left one will give a good dose of adrenaline to experienced rafters! After a intense tour, sauna or hot shower. Arrival to the railwaystation. End of the programme. Breakfast the first day and dinner the last days are not included. The price is for descent in raft for 8 (7 travelers + 1 instructor). Train tickets are available as an option, please, ask us.